It's that time again, when I offer a brief survey of my favorite books, music, movies and television first experienced during the past year. Haywood's novel-writing career spanned three decades and major shifts in style and sexual culture. Earlier I wrote about her first novel, Love in Excess (1720), which displays the influence of the amatory fiction of Aphra Behn. The History of Miss Betsy Thoughtless seems to be influenced less by literary models and more by Haywood's own experiences. To escape conflict with her new stepmother, Betsy flees to London and to the protection of a family friend. Her free behavior leads several men-about-town to make assumptions about her profession (followed by crude sexual advances), and alienates her suitor Mr. Trueworth. 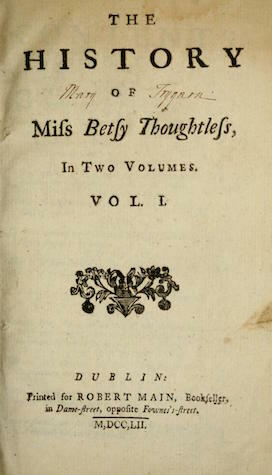 Betsey seems very modern in her determination to live as she pleases, and it is not only in the 18th century that women have encountered difficulties in doing so. When she is trapped into marrying an incompatible man, Mr. Munden, it seems impossible that she will ever be united with a man of true worth. In featuring an error-prone but sympathetic heroine, Miss Betsy Thoughtless anticipates the novels of Fanny Burney and Jane Austen. Charlotte Lennox was most famously the author of The Female Quixote (1752), a parodistic novel about the dangers of too much novel-reading. Henrietta (1758) is about dangers of a different kind. 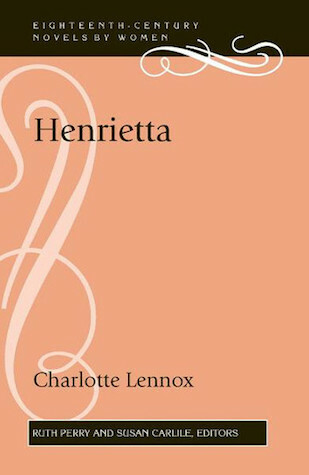 Henrietta, an orphan, travels to London, where she is made the object of multiple unscrupulous schemes on her body and her reputation. She must rely on her wit and steadfast principles to escape the many traps set for a young woman living in the city without family protection or fortune. 'Is this your resolution, miss Courteney?' said his lordship. It seems clear that Jane Austen drew on this scene for Darcy's first, impulsive proposal to Elizabeth Bennet in Pride and Prejudice. To paraphrase Chekhov, if in the first volume there's an orphan in a castle, in the last volume it will be revealed—spoiler alert!—that the orphan is actually the legitimate owner of the castle. On the way to this revelation (and true love. . .) there are false accusations. . .unwelcome attentions. . .misunderstandings, duels, hazardous sojourns in foreign lands, midnight pursuits, and fateful (and highly coincidental) meetings. If Emmeline looks back to the novels of Fanny Burney and Samuel Richardson, Celestina looks forward as well to the novels of Jane Austen. Once again the heroine is an orphan raised by a wealthy family. And once again the son of the family in which the heroine was raised falls in love with her. 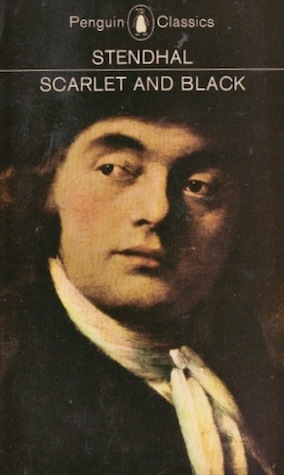 His name, perhaps familiar to readers of Sense and Sensibility, is Willoughby. 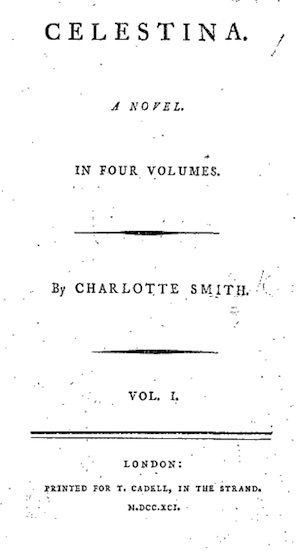 For the many other parallels between Smith's novels and Austen's, please see the full post linked above. Mathilde saw he was thinking deeply. 'Then I'm altogether unworthy of you,' she said, taking hold of his hand. The feelings Julien inspires, and his inability to accept them without calculation, will ultimately have tragic consequences both for himself and for the women who love him. Scarlet and Black is also a portrait of a corrupt and venal society fixated on appearances over substance, one which in some ways may remind you of our own. Smoke lowering down from chimney-pots, making a soft black drizzle, with flakes of soot in it as big as full-grown snowflakes—gone into mourning, one might imagine, for the death of the sun. . .Fog everywhere. Fog up the river, where it flows among green aits and meadows; fog down the river, where it rolls defiled among the tiers of shipping and the waterside pollutions of a great (and dirty) city. . .Fog in the eyes and throats of ancient Greenwich pensioners, wheezing by the firesides of their wards; fog in the stem and bowl of the afternoon pipe of the wrathful skipper, down in his close cabin; fog cruelly pinching the toes and fingers of his shivering little 'prentice boy on deck. Chance people on the bridges peeping over the parapets into a nether sky of fog, with fog all round them, as if they were up in a balloon and hanging in the misty clouds. . . .The raw afternoon is rawest, and the dense fog is densest, and the muddy streets are muddiest near that leaden-headed old obstruction, appropriate ornament for the threshold of a leaden-headed old corporation, Temple Bar. And hard by Temple Bar, in Lincoln's Inn Hall, at the very heart of the fog, sits the Lord High Chancellor in his High Court of Chancery. In 2005 Bleak House was made into an excellent BBC series written by Andrew Davies and featuring Gillian Anderson, and E & I favorites Carey Mulligan and Anna Maxwell Martin. Written a few years after Middlemarch, this was the last novel Eliot completed. The hero of the title finds himself torn between his complicated feelings for the capricious, pleasure-loving Gwendolen Harleth and his growing love for the orphaned Jewish refugee Mirah Lapidoth. As he delves deeper into the mysteries of his origins, it becomes apparent that Daniel has more in common with Mirah than he at first suspects. Eliot's fictional treatment of the "Jewish Question" and the stirrings of Zionism in late-Victorian England has divided critics since its appearance. Their opposing positions are encapsulated by F. R. Leavis, who famously thought that all the Jewish episodes should be cut out and the novel renamed Gwendolen Harleth, and the first translator of the work into Hebrew, who included only the scenes featuring Mirah and her Zionist brother Mordecai. I hope that, without being accused of philistinism, I can express the feeling that the scenes featuring the saintly Mordecai in particular can sometimes go on too long. But that is a very minor issue in a great novel. 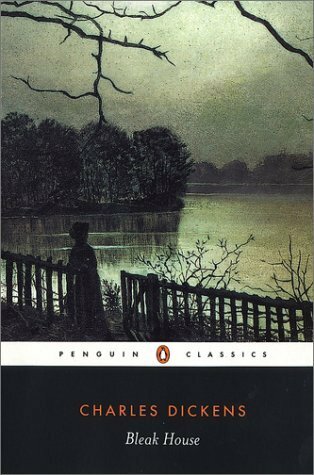 Daniel Deronda is a powerful work that deserves to be more widely read and appreciated. In 2002 it was also made into a wonderful BBC series written by Andrew Davies and featuring E & I favorites Romola Garai, Jodhi May, and Amanda Root, which I wrote about in the post "Why BBC literary adaptations are so delightful: Daniel Deronda edition." 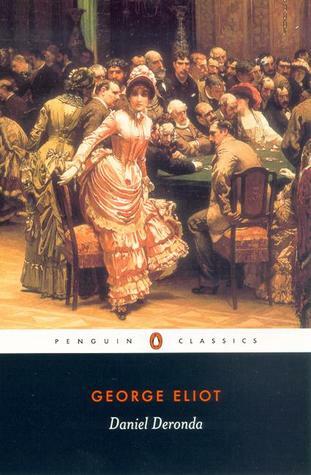 Her money spent, and feeling disgraced and abandoned, Emma Bovary takes poison. 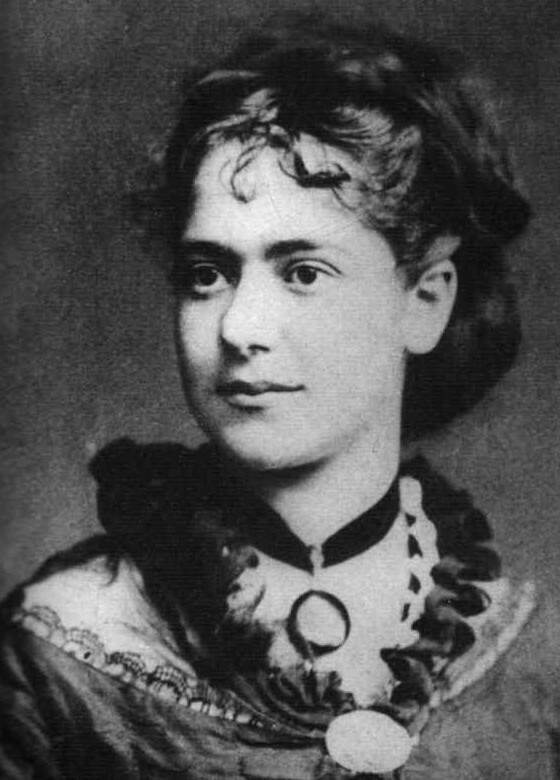 Her money spent, and feeling disgraced and abandoned, the first English translator of Madame Bovary, Karl Marx's daughter Eleanor, took poison. Her life is idle, useless. And this strong woman feels there must be some place for her in the world; there must be something to do—and she dreams. Life is so unreal to her that she marries Bovary thinking she loves him. Where a man would have been taught by experience, the woman with like passions, like desires, is left ignorant. She marries Bovary. She does her best to love "this poor wretch." In all literature there is perhaps nothing more pathetic than her hopeless effort to "make herself in love." And even after she has been false, how she yearns to go back to him, to something real, to a healthier, better love than she has known. . .In a word, Emma Bovary is in search of an ideal. She has intellectuality, not mere sensuality. It is part of the irony of fate that she is punished for her virtues as much as for her vices. This, only Roy's second novel after 1997's Booker-Prize-winning The God of Small Things, is almost Dickensian in its outrage at injustice. Roy peoples her story with striking characters, such as Anjum, a Hijra who raises an abandoned child and makes her home in a graveyard, and Tilo, a woman who, caught up in larger conflicts, tries to remain true to herself. But it is not only in Kashmir that there is injustice and violence. When Tilo chooses to have an abortion she is required to have someone else—preferably the father—sign the consent form for general anesthesia. She decides to have the operation without it, and passes out from the pain. When she wakes up, she is in the general ward. 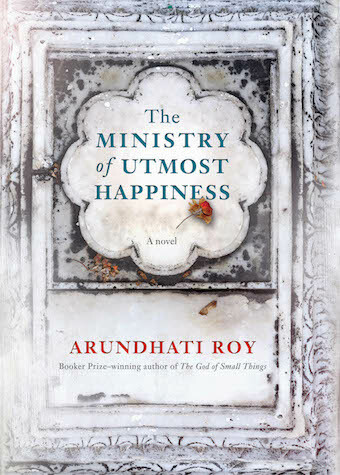 The title of The Ministry of Utmost Happiness is not entirely ironic. There are moments of joy and of human connection and solidarity. A community of misfits, of the rejected and the rejecting, forms in spite of the relentless social, political and economic pressures that pit people against one another. Roy's clear-eyed and dispassionate dissection of the hypocrisies, deceptions and brutalities practiced even by those who claim to be fighting for justice makes for harrowing but urgent reading; her powerful prose and vivid characters make her work emotionally compelling as well.